Earrings in 18 carat yellow gold and oxidized sterling silver with cabochon emeralds. 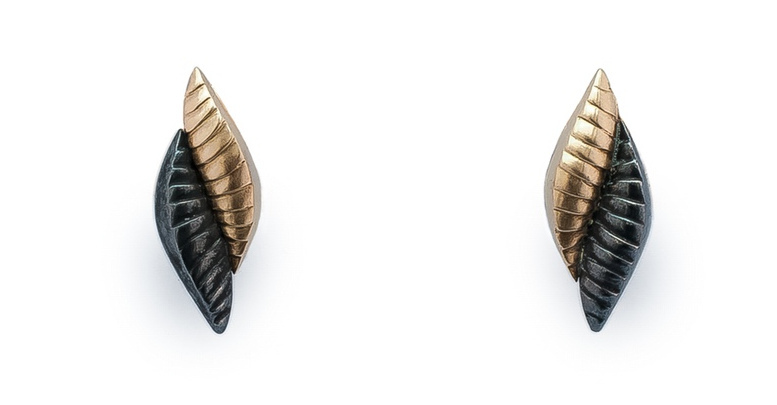 The lower part of the earrings is detachable from the top, creating an elegant and versatile jewellery piece. 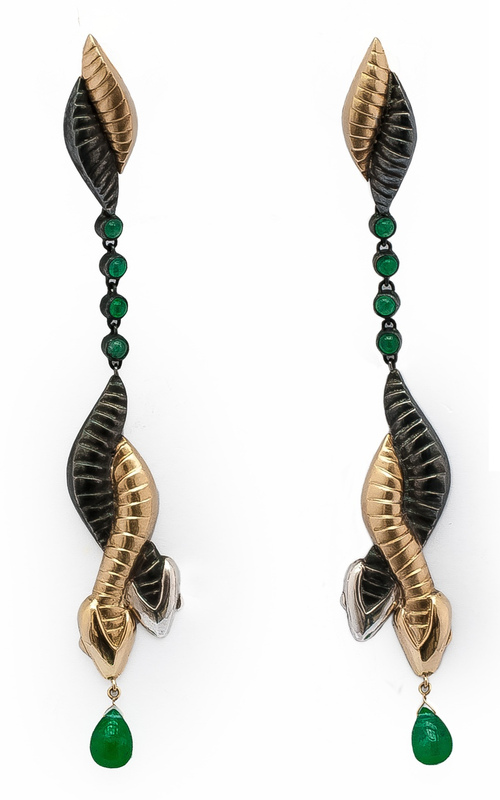 Exquisitely sculpted to convey sensuality of the serpents dancing embrace with the deep green of emeralds invoking the magic of new life springing forth. 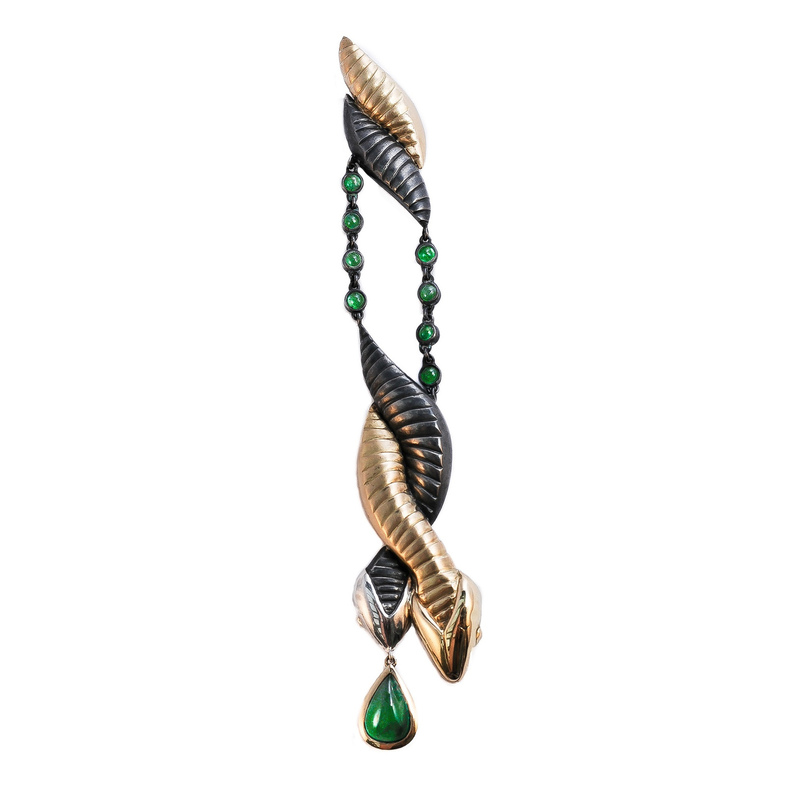 Pendant in 18 carat yellow gold and oxidized sterling silver with cabochon emeralds. Whether on a cord of fines silk or chain of precious metal, the enchanting dance of two serpents whispers of the beauty and pleasure of this gentle and radiant emotion.